U.S. stocks fell on Monday, as a slide in Apple’s shares on concerns about iPhone demand hit its suppliers and the technology sector, with mixed signals over the state of play between the United States and China on trade dispute adding to the weakness. Shares of Apple Inc resumed its decline with a 3.5 percent fall after the Wall Street Journal reported the company has cut production orders in recent weeks for all three iPhone models launched in September. The iPhone maker’s stock was down nearly 20 percent from a record high in October as a disappointing holiday-quarter sales forecast and weak outlook from several of its suppliers, took the shine off a stock that has powered a rally in the decade-long bull-run for stocks. Shares of Apple suppliers were also hit, with Lumentum Holdings Inc, Universal Display Corp, Cirrus Logic Inc and Skyworks Solutions Inc down between 2 percent and 7 percent. “Chip stocks will get impacted by Apple and when you have weakness, it essentially justifies the recent selloff and investors are just being a little cautious,” said Randy Frederick, vice-president of trading and derivatives for Charles Schwab in Austin. 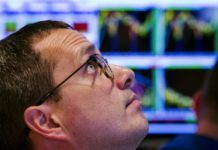 Trading volumes were also thin in the holiday-shortened weekend ahead of Thanksgiving on Thursday and short trading session on Friday, which added a little bit of volatility to the markets, Frederick said. 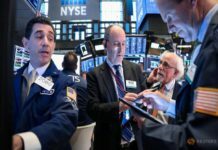 The rest of the so-called FAANG stocks – Facebook Inc, Amazon.com Inc, Netflix Inc and Alphabet Inc – shed between 3 percent and 1.3 percent. 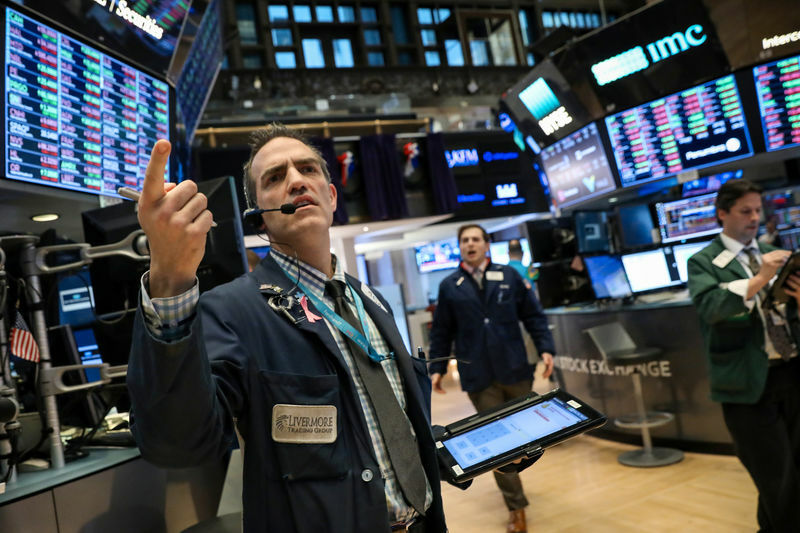 A 2.6 percent decline in technology shares and 1.3 percent fall in consumer discretionary stocks led eight of the 11 major S&P sectors lower. The Philadelphia SE Semiconductor index dropped 1.9 percent, extending losses from the previous session after an underwhelming forecast from Nvidia Corp weighed on the sector. 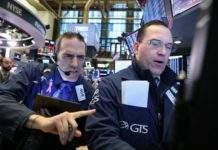 At 11:22 a.m. EDT the Dow Jones Industrial Average was down 261.76 points, or 1.03 percent, at 25,151.46, the S&P 500 was down 27.29 points, or 1.00 percent, at 2,708.98 and the Nasdaq Composite was down 131.51 points, or 1.81 percent, at 7,116.37. Over the weekend, Asia-Pacific leaders failed to agree on a communique for the first time ever at a meeting in Papua New Guinea with U.S.-China trade worries on the forefront. U.S. Vice President Mike Pence said in a blunt speech on Saturday that United States will not back down from its trade dispute with China unless Beijing bows to U.S. demands, dampening Friday’s trade optimism that was fueled by President Donald Trump’s comments. Boeing Co and Caterpillar Inc, seen as trade sensitive stocks, fell 3.3 percent and 1.6 percent, respectively. China’s JD.com Inc slipped 3 percent after reporting third-quarter revenue below analysts’ estimates on sluggish sales in its core e-commerce business. Declining issues outnumbered advancers for a 1.78-to-1 ratio on the NYSE. Declining issues outnumbered advancers for a 1.79-to-1 ratio on the Nasdaq. The S&P index recorded 26 new 52-week highs and seven new lows, while the Nasdaq recorded 15 new highs and 84 new lows. Thanks Vlad for sharing stock shares and its impact.